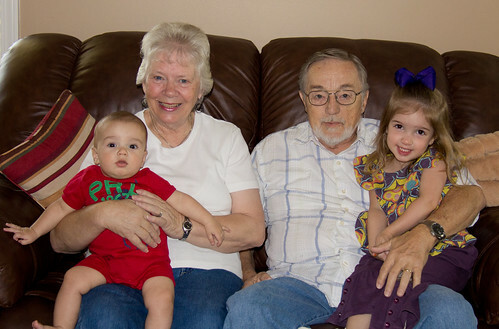 on wedesnday, we drove to gammy's house to visit with papa fred & mama marion. they came to visit us, and had not met bennett yet. we had such a good visit with them! while we were at gammy's, we did a little prep work for austin's birthday party on saturday. :) she stayed at gammy's an extra night, and i came home to finish preparing for her big day!